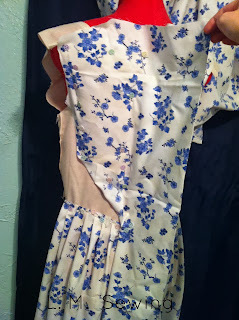 This new dress I'm working on is "The Patience Tabitha Dress" named after my 6th great grandma and who was 30 at the time of the American Revolution. 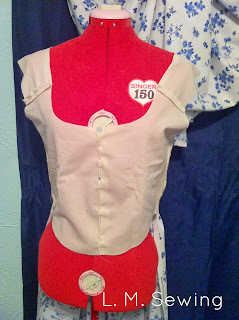 I started off making a fitted lining and a fitted lining pattern that I can use for future dresses. I machine sewed this together because I wanted to be sure it was going to work before taking the time to handsew. 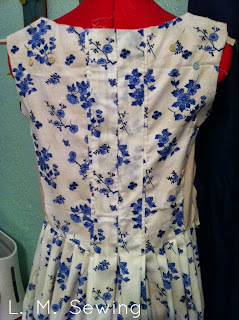 In the future since it works, I'll hand sew this. 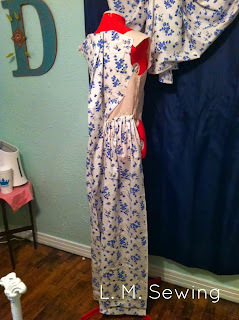 The rest of the dress will be hand sewn. I'm realizing as I look at this that the front is rounded... I don't know why I didn't catch that before. I may need to recut the front lining pieces. I'm sewing it on the mannequin without the stays beneath because I know the lining fits me with stays on, so as long as I sew to the lining it will fit me fine. 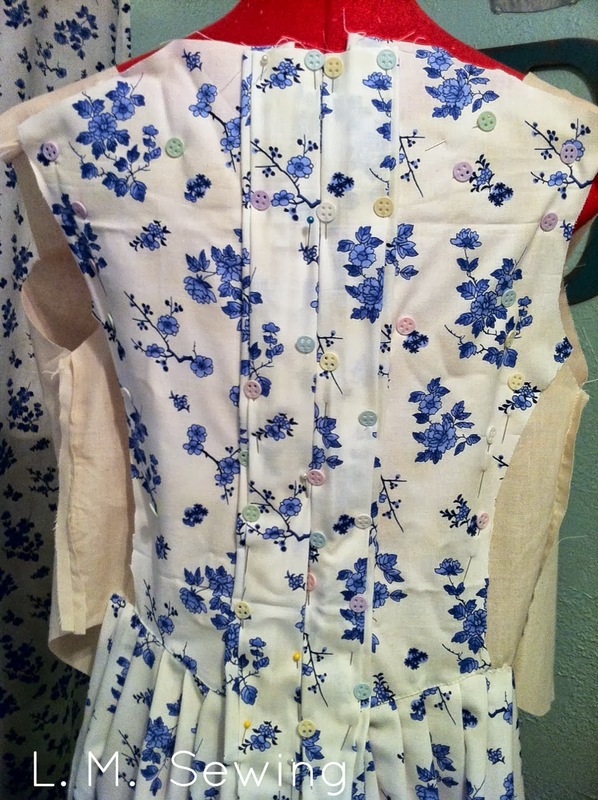 The back smoothed out and pinned and the skirt pleated to the lining. 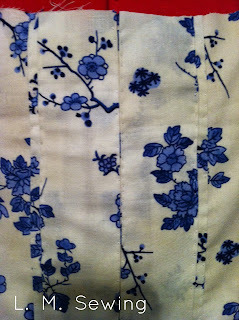 The pleats are being whipstitched to the lining and then with the top fabric folded back over the pleats a spaced backstitch. Hopefully, tonight I'll get the front of the bodice on and the front skirt pieces attached!